Providers must have a clear idea of these requirements and update their systems constantly. Failure to do so might lead to more administrative time and further delay payment. In order to avoid this, providers can rely more on outside revenue cycle management (RCM) companies for their expertise and time to handle thousands of claims and policies. Also, providers can utilize guides and websites that payers have created in order to stay informed, so their submitted claims aren’t rejected. Not following up with claims throughout the whole process could result in confusion when an issue with the claim occurs and it is unknown where it happened. Claims can be complicated and providers don’t wish to use their revenue to fix these issues. 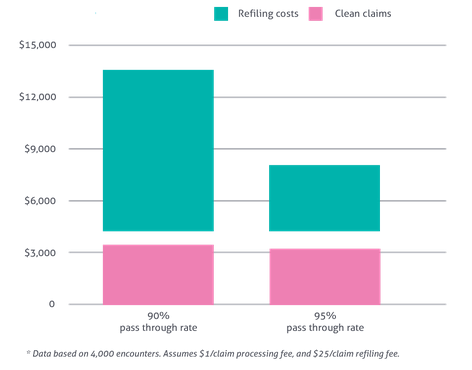 According to a study by James Kahn, MD, from the University of California, “health care providers typically spend 8 to 14 percent of overall revenue on clerical follow-up on rejected claims” which can be improved with a more effective system in place. Claims can easily be rejected due to coding errors and providers are sometimes hesitant to resubmit them, especially without proper data access to solve the coding error. 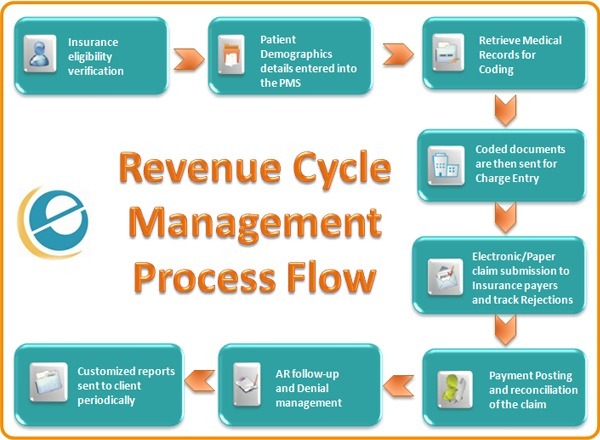 The last things that health providers, payers, and patients want in the RCM is for lost revenue. Finding online research tools that meet HIPAA compliance to automate the process of filing claims can help with this and result in better organization. According to Emdeon Payer Lists in 2010, one fourth of practices never verify patient eligibility and copay amounts. Even further, another one fourth don’t verify this information until the patient has left the office, causing a multitude of problems. Ensuring this verification is definitely a critical step in RCM, and even further, electronic verification can save valuable time and money in the future. “Busy practices with heavy administrative workloads tend to process claims one at a time. When claims are addressed individually, administrators often fail to see high-level, [trends] and make the same processing error repeatedly” (Riley, Healthcare IT News). Since the RCM sector is expected to boom, outsourcing this information has become more popular and is expected to help hospitals and clinics immensely. For more information on these challenges, click here.